Feed Your Mind: February 29, 2016 we leap ahead!! February 29, 2016 we leap ahead!! February 29, 2016 is Leap Day. This extra day added to the Gregorian Calendar make the year 366 days long instead of the usual 365, making that year a Leap Year. It takes the earth approximately 365.242199 days (a tropical year) to circle once around the Sun. To keep our calendar in alignment with the sun, a day is added every four years in years that are divisible by four, thus giving us February 29. If we didn’t add a day we would lose almost six hours a year on our calendar and that would add up to 24 days in 100 years. FYI!! There is also the lesser known Leap Second. Ever since Julius Ceasar introduced Leap Day over 2000 years ago, February 29 has become a day of traditions and superstitions. According to an old Irish legend, on Leap Day, also known as Bachelor's Day, women are allowed to propose to men. In some places a man was expected to pay a penalty of a gown or money. If you were from the upper crust of European society, he had to buy her 12 pairs of gloves if he refused her proposal. In some countries it is considered unlucky to be born or to marry on February 29. There was even a plot afoot at one time to add February 30 to the calendar. But that plan fell through. It didn't have a leg to stand on! 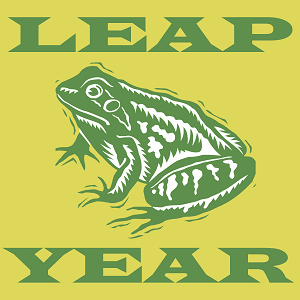 If you were born on February 29 you are called a Leapling. And yes you still get to celebrate a birthday every year whether it is February 28, 29 or March 1. Your preference. Sorry you don't get to be 10 while your friends turn 40. However, many countries have laws defining which date a person born on February 29 comes of age in legal terms. So HAPPY LEAP YEAR! And to all the Leaplings out there. Dinah Shore, Usher, Henri Richard, Dennis Farina, Antonio Sabato Jr., Tony Robbins, Jimmy Dorsey, and YOU. HAPPY BIRTHDAY!! See you in 2020!! !